Vaihteeksi jotain vähän muuta. Jotain kiehtovaa mihin olen netin syövereissä törmännyt: metallisia pintoja joissa välkkyy öljyn sävyt. Näissä kaikissa on jotain todella kaunista mikä inspiroi valtavasti. Something else for a change. 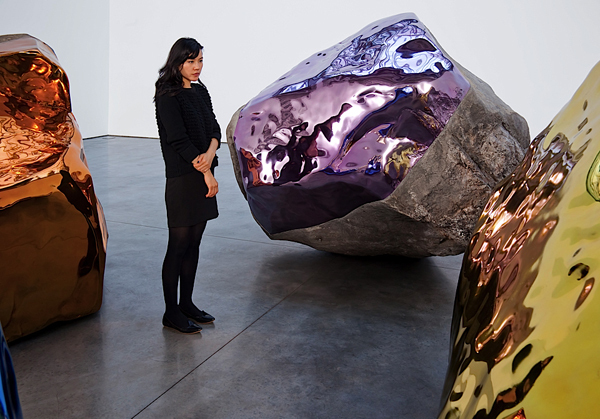 Something that I recently came across and find very intriguing: metallic surfaces with the color tones of oil. In all these there's something really beautiful that I find really intriguing and inspiring. 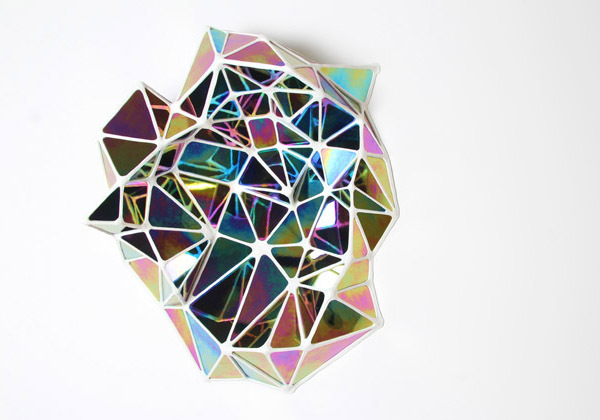 Graham Caldwell, Polychromatic Formation 1, 2011, iridescent glass and epoxy.Photo source. 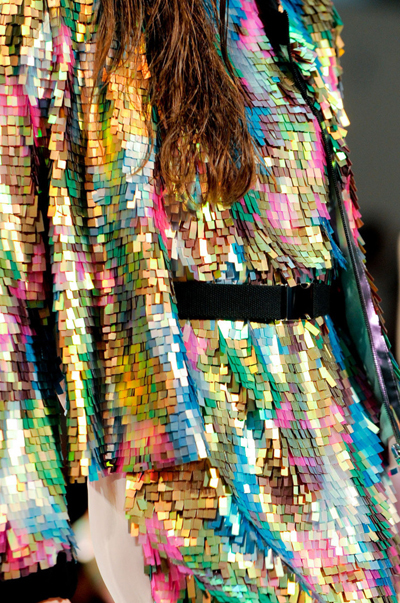 Sportmax spring/summer 2012. Photo source. 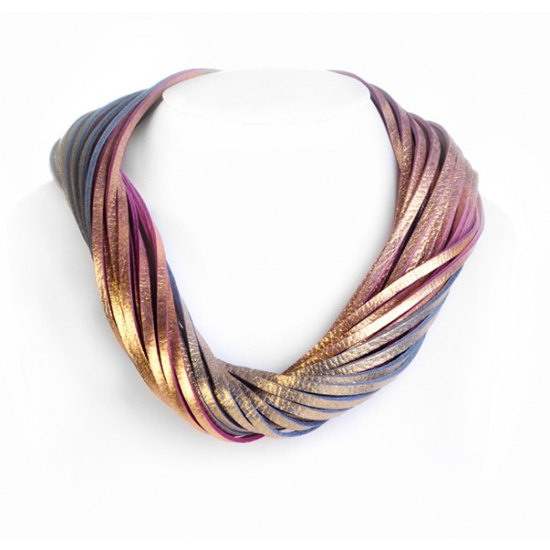 Krisia Necklace "Pink" by Daniella Zagnoli. Photo source. Jim Hodges: Untitled, 2011. Granite, stainless steel and lacquer. Photos by David Regen. Photo source.